The Grand Gathering is a brand new exciting four-day event planned for March 6th – 9th, 2014 in Quartzsite, Arizona. The GRAND Gathering is a joint venture of Quartzsite's (QIA) and Proud Neighbors of Quartzsite (PNQ), both dedicated to the betterment of the Community of Quartzsite and the region. 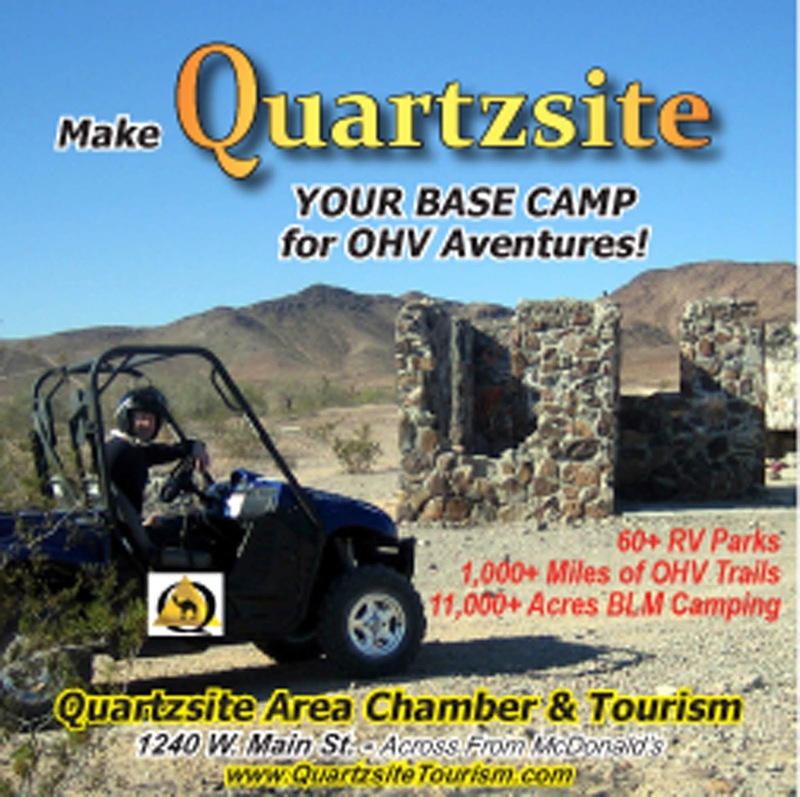 In true community spirit, cooperation between the Town of Quartzsite administration and many local organizations are producing an exceptional event for the community and visitors alike with four full days of GRAND fun, entertainment and town-wide events. Events are geared for GRAND Parents and Great GRANDS and their families to create memorable moments together. Parking is free at all venues. The American Veterans Traveling Tribute (AVTT) Vietnam Wall travels to Desert GardensShow Grounds to coincide with the events during The GRAND Gathering. The AVTT Traveling Wall will arrive in Quartzsite on Wednesday, March 5th. Public viewing of the wall will be available 24 hours a day after the initial set-up on the morning of Thursday, March 6th through the afternoon on Sunday, March 9th. At 360 feet in length, the AVTT Wall is the largest traveling replica of the original Vietnam Memorial Wall located in Washington, D.C. It is an 80 percent scale reproduction which stands eight feet tall at its apex and does not leave out a single name featured on the original memorial wall. The Military Tribute is free. 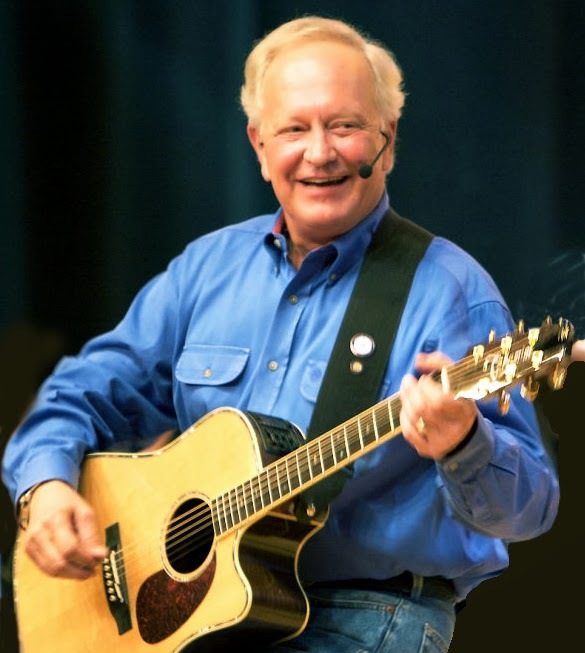 On Thursday, March 6th, Rex Allen Jr. performs at the QIA. Tickets are $15. Rex was inducted into the Arizona Music and Entertainment Hall of fame in 2013, shortly after receiving the Twentieth Annual Ernest Tubb Memorial Award, from the Western Film Preservation Society. Paul Winer will present a FREE concert on Saturday afternoon at the QIA. 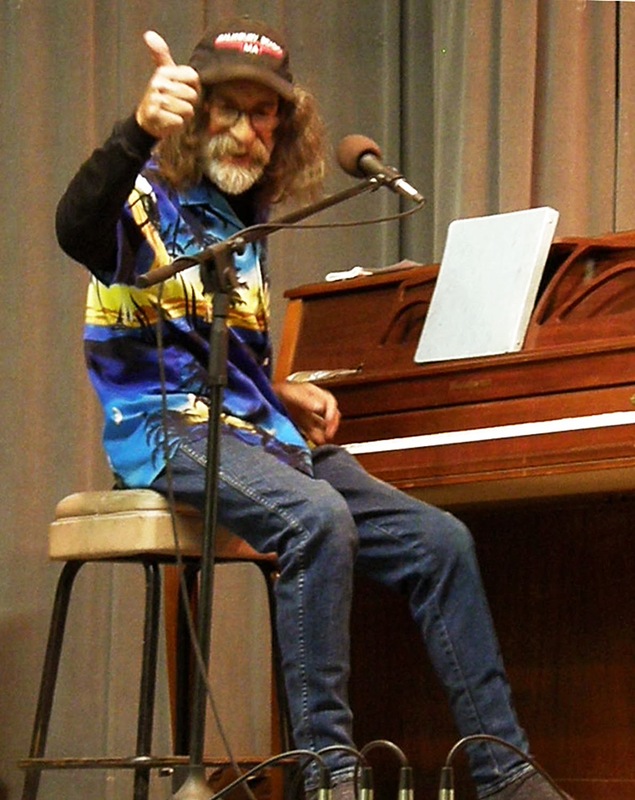 “Yes,” It is the “Naked Bookstore Guy,” Paul Winer, fully-clothed, playing Boogie Woogie Blues! Paul is a colorful character who is definitely one of the main tourist attractions in Quartzsite. On the Road Again will provide a Dance Party Saturday night at the QIA, $4/person. Thursday events include a Library Book Sale, AVTT Traveling Wall, Exercise Class, Crafts Painting Social, Line Dancing with Vernine Adkins. Food be available at many local restaurants around town and at the QIA. At 7pm the famous Desert Music Jams happen at the QIA. Friday events include Town-Wide Yard Sales, GRAND Breakfast at Quartzsite Senior Center, Opening Ceremony takes place at the AVTT Traveling Wall with presentation of Colors, National Anthem, and Speakers at Desert Gardens Show Grounds. Back at the QIA will be Crafts, Vendors, Games and Food. The GRAND Marathon Bingo also takes place at the QIA. There's a GRAND Music Jamboree happening at the QIA Outdoor Stage. Saturday events include a Pancake Breakfast, Town Wide Yard Sales, AVTT TravelingWall, Colors, National Anthem, Speakers @ Desert Gardens Show Grounds, Volkssport 5k/10k Walk at the QIA, SENIOR FAIR/SHOW, Antique Car Show, Games for young & old – (Rock Stacking, Rock Painting, Hula Hoop Contest, etc. ), Live Entertainment throughout the day with a Preview of “On the Road Again” at the QIA Outdoor Stage. State Assemblyman Sonny Borrelli will be speaking at the AVTT Traveling Wall at Desert Gardens. There's also a Cancer/MS Fundraiser Walk at Paradise RV Park. The 5th Annual Proud Neighbors of Quartzsite (PNQ) “Rock Auction” will be held at the QIA Outdoor Stage, followed by Paul Winer FREE Concert. Closing out the day is a Dance with “On the Road Again” at the QIA. Sunday events include a Community Service at the QIA, followed by a delicious Brunch. Closing Ceremony at the AVTT Traveling Wall happens at 1pm with Colors, National Anthem, Speakers, and Taps. 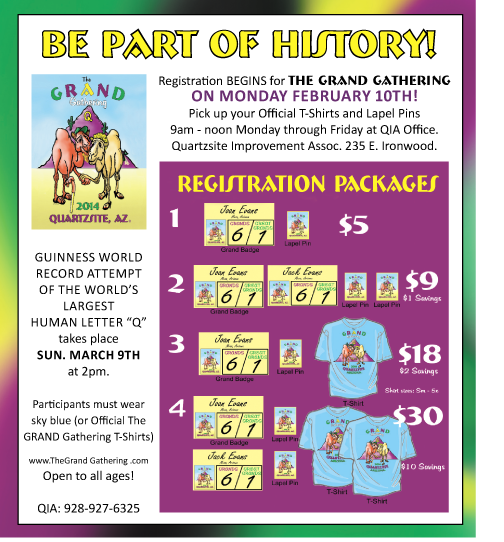 At 2:00 p.m. Sunday, Quartzsite will attempt to break the Guinness Record for the World's Largest Human Letter "Q" at the QIA. The goal is have at least 550 people stand (or sit) together and form the letter "Q". Don't worry, there will be plenty of chairs available if folks can't stand. This event is open to all ages. Registration is only $5 which includes the Official The GRAND Gathering collector's lapel pin. Multiple Registration Packages are also available. 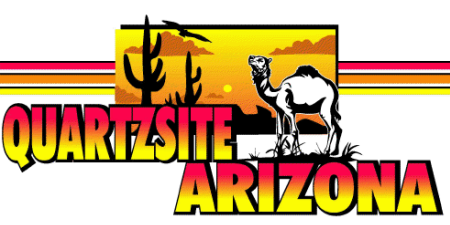 Quartzsite is conveniently located on I-10, just 17 miles from the California border, and Hwy. 95 1/2 way between Yuma and Lake Havasu City. Just 2 hours west of Phoenix, Quartzsite is in the middle of everywhere! See the full details about The GRAND Gathering at www.TheGrandGathering.com. 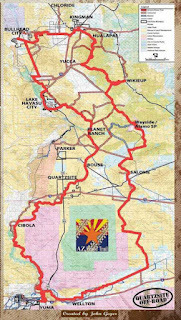 · The Quartzsite Improvement Association (QIA) was incorporated in 1965 and is a non-profit organization dedicated to the betterment of the Quartzsite Community.www.qiaarizona.org. · Proud Neighbors of Quartzsite (PNQ) was established to help provide benefits to local charities and non-profit organizations by promoting the community of Quartzsite, and surrounding areas through quality local celebrations. www.ProudNeighbors.com.